I wanted to use this blog entry as a follow up to my Product Photography Facebook LIVE Tutorial that aired on June 6th. If you missed it you can CLICK HERE to view the video and see the gear list, then come back here to see the final images! 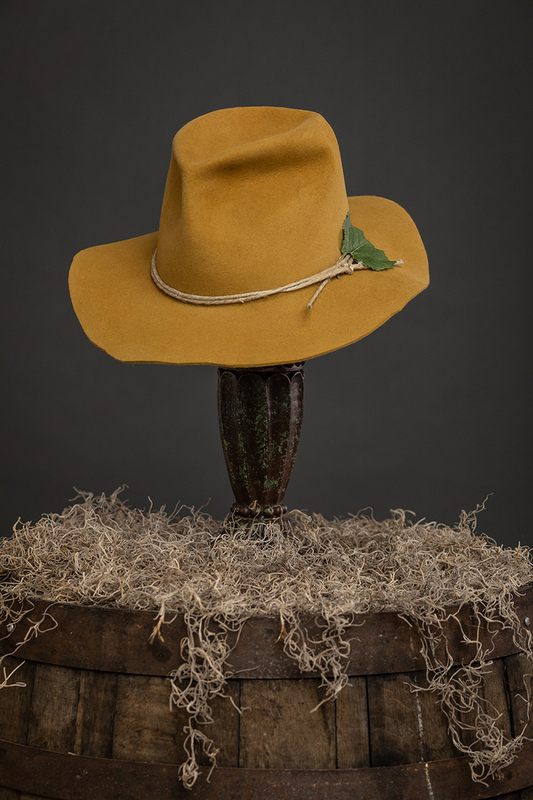 I partnered with hat maker Colby Hebert to photograph a collection of his new line of hat wear. This collection of one-of-a-kind hats we photographed at my studio needed to be shot a specific way so that the composition, lighting, and editing all fit the same aesthetic. I based my lighting scheme on a few photos he showed me from a recent ad campaign that he liked. 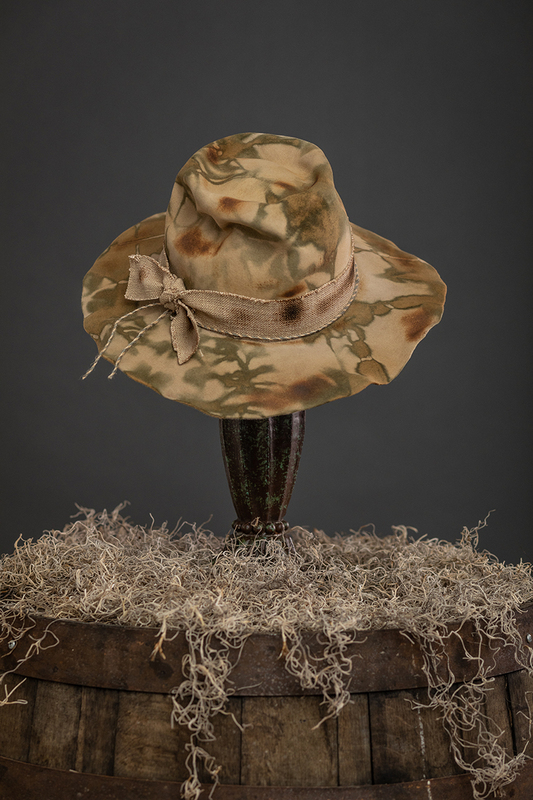 This style of product photography gave the hats a uniform look and could easily be integrated into his social media advertising and website. Any time I meet with a client to talk on any type of shoot, especially product photography, it is so important to understand their goals and creative ideas. Lucky for me, Colby had a very specific look in mind and I could replicate that at my studio...right next door! Product Photography Lighting in the Studio! To give Colby the look he desired, I chose to go with a large octabank softbox and a grid with my trusty Einstein 640 from Paul C. Buff. I like this particular light because of the consistent color and light. Now this might not make a difference to me as much in some shoots where I am shooting all day on location, changing sets and lights. But when you are photographing in a studio with a set background, props, and products from the same line or company - you need to have your most important variables on LOCKDOWN! Having a consistent light power and color output from your head every time will ensure that Hat #1 looks just the same as Hat #100 - and when your client wants to roll through the images on social media one after another (as expressed by mine) this is very important. I also had a White Lightning 800 head with a smaller strip softbox that was about 45º to the back left of the hat for some light fill on the brim, and I was not lighting my slate grey background so the hats would just pop naturally. My camera was secure to my tripod and I was tethered to view on my monitor to my left. There was a time where I'd say "NO WAY" on a photoshoot to my clients. Now, I say "HELL YES"
Having a monitor to view your images in front of your client has been a game changer for me. As I alluded to in the live video I really don't mind clients looking over my shoulder on a shoot. I always take time to explain to them the detailed editing and color correcting that takes place after and showing them as we shoot ensures that we got the shot. When I was less confident with my editing skills I was very reluctant to show anyone what I was getting since there would be considerable amounts of editing...or "saving" the shot. The more confident I became in my photography and in the communication with the client, the better aligned we were on the expectations. I wasn't born technically confident of my gear, this comes with time, patience, and alot of practice. I hope you enjoy a few of the hats above - you can see more on Colby's Instagram Account. After the shoot I wanted to get a few images of the production side of Colby's operation, where he works and what it looks like. We also got some great portraits. Here are some of my favorite. If you are looking to tell the story of your business, Email me now! Wether your business revolves around services or products, there is a uniqueness we can capture with well informed and creative photography! That uniqueness is YOU and I am am all ears! Thank you, I will be in touch in 24hrs! Please see my latest commercial work here!